When The Coast Mountain Bus Company Ltd. (owned by TransLink) needed to retrofit its aging SeaBus berthing structures and maintenance facility, it settled on the company with the lowest bid. Fortunately, it was also the company that had done several minor retrofits over the past three decades. 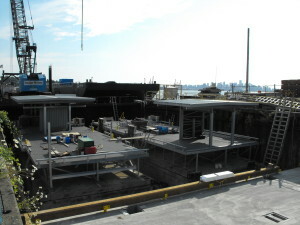 The renovation project was expansive and involved not only the SeaBus berthing structures but also the maintenance dock. Major component upgrading was required to the SeaBus maintenance dock (fenders, concrete floats, platforms, service piping, and fuelling system). Berth fenders also needed to be replaced, as did corroded structural steel supports at the north and south SeaBus terminals. The rehabilitation work took close to a year to complete. But the results stand for themselves – so much so that the Vancouver Regional Construction Association (VRCA) recognized the project as a 2014 silver award winner (in the up to $15 million category) in its 26th Annual Awards of Excellence. The West Coast Mountain Bus Company operates three SeaBus ferries that cross the Burrard Inlet between Vancouver and North Vancouver, transporting more than 45,000 passengers annually. The original berthing structure was designed to accommodate two SeaBuses. A third ferry was added in December 2009. The SeaBus berthing structures themselves were in need of several repairs. 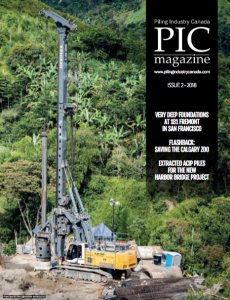 Lannon adds that Vancouver Pile Driving had to get the original manufacturer of the Seibu rubbers to make a new mold in order to get the exact same component re-made. And the work didn’t end there. “The steel frames that encase rubber fenders had deteriorated over time so we had to build 12 new sets of steel frames,” he says. Vancouver Pile Diving had to engage a crew of divers to drill and epoxy under water in order to remove the old dolphins, install the new holes and then re-anchor the rods to hold the dolphins in place. Another key element in the repair work involved the inner and outer fender structures. The mounting brackets on the fenders had to be replaced, as did the outer fenders on the main structure. The second part of the SeaBus rehabilitation project involved the floating maintenance and fuelling dock, which features two berths. It consisted of eight concrete floats, kept in place with concrete-filled steel mooring piles. The old surface material on the original concrete-filled floats was stripped away and the concrete repaired. Some of the timber frames that were in place to prevent the floats from being damaged by the SeaBuses were also in need of repair. 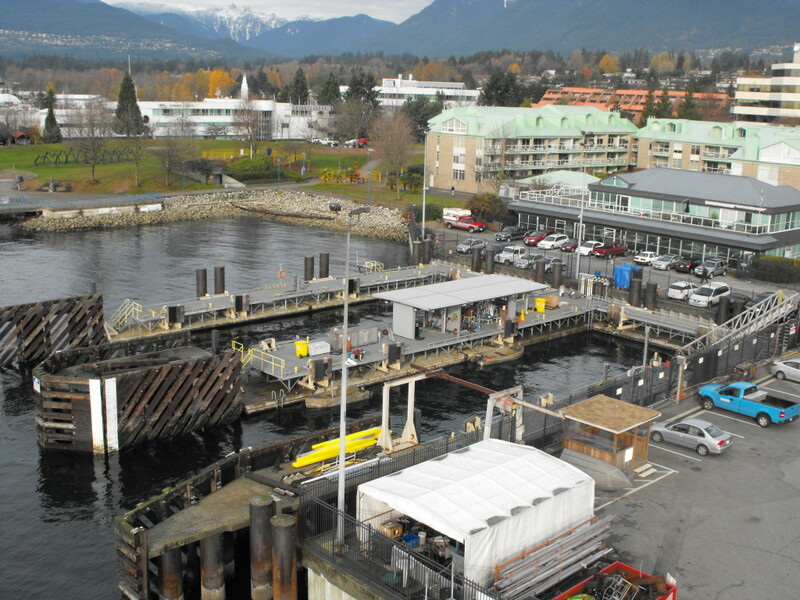 Although the SeaBus berthing structure and maintenance repair facility appeared to be a simple project involving the repair and replacement of different components, it was made more difficult by the working environment and the age of the components, which made them hard to source. Plus, the project was further complicated by the need to keep the facility fully operational during the entire renovation project. The tight working conditions also posed some challenges. The $7.5-million project with all its unique challenges certainly deserved its industry accolades.